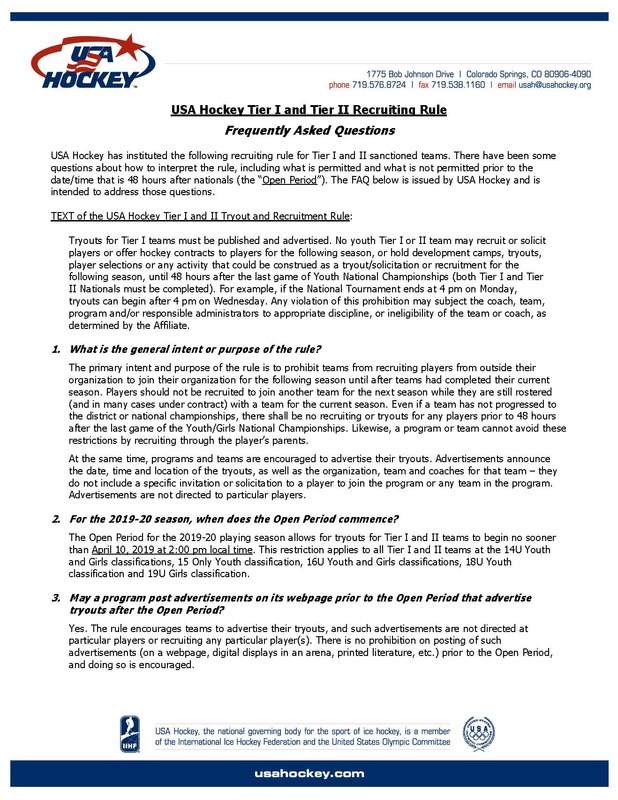 At the request of USA Hockey, we are sharing this information with our membership that traditionally participates in the National Bound tournaments or is considering doing so. These rules pertain only to teams that intend to participate in the 2019-20 National Bound tournaments, and do not apply to those who intend to participate only in the State Championships. Please direct any youth tournament questions to Bob Joyce (bjoyce@mahockey.org) or girls questions to Mark Lissner (mlissner@mahockey.org). 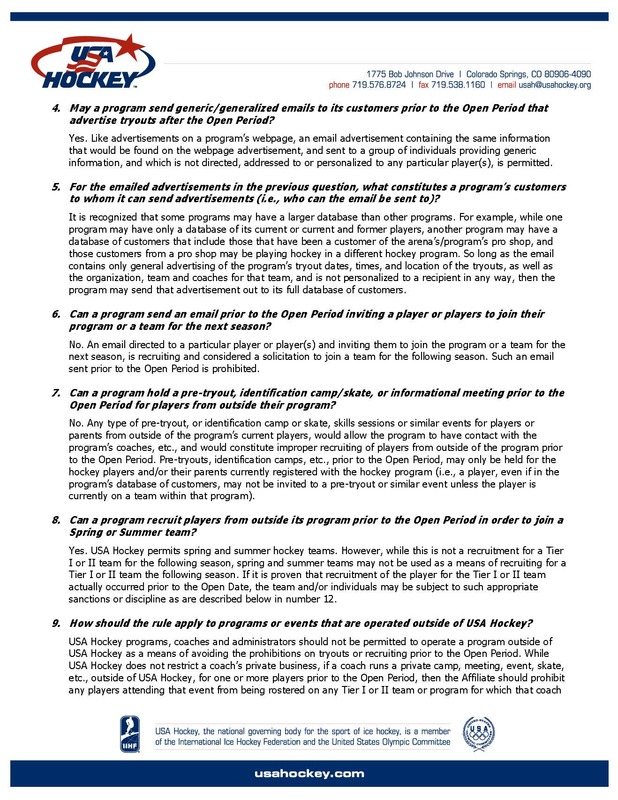 "Over the past few months there have been questions about the type of advertisements for tryouts that are permissible and what type of recruiting or solicitation of players is not permissible prior to the completion of the National Tournaments. 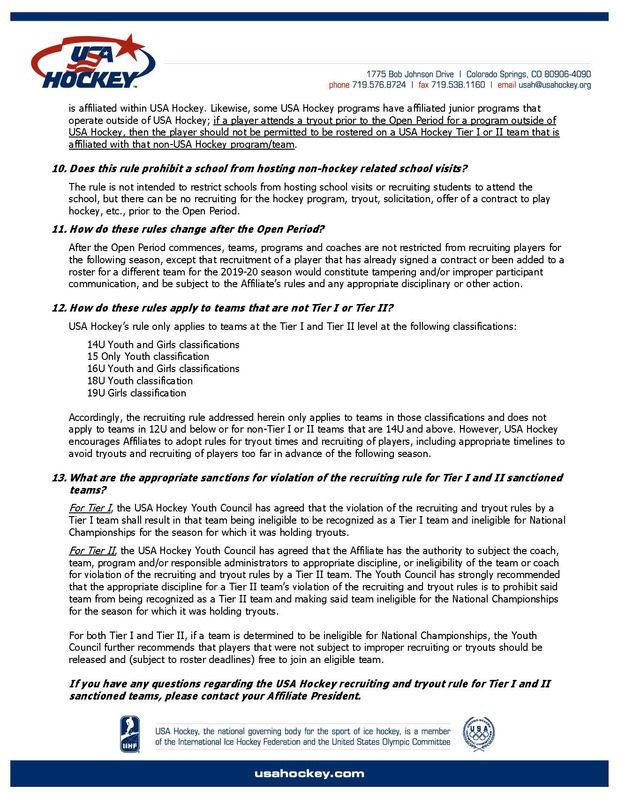 The document linked below has been prepared by our national office staff, and discussed and approved by the USA Hockey Youth Council to help explain and clarify how the rules apply to different situations. Thank you, and good luck as we are approaching our National Tournament time! Vice President, Youth Council Chair"